Ceramics are inorganic, non-metallic materials made from compounds of a metal and a non-metal. They include such compounds as oxides, nitrides, and carbides. Ceramics are typically insulators (electrically and thermally), but their properties can vary widely - for instance some ceramics actually belong to the super-conductor class. 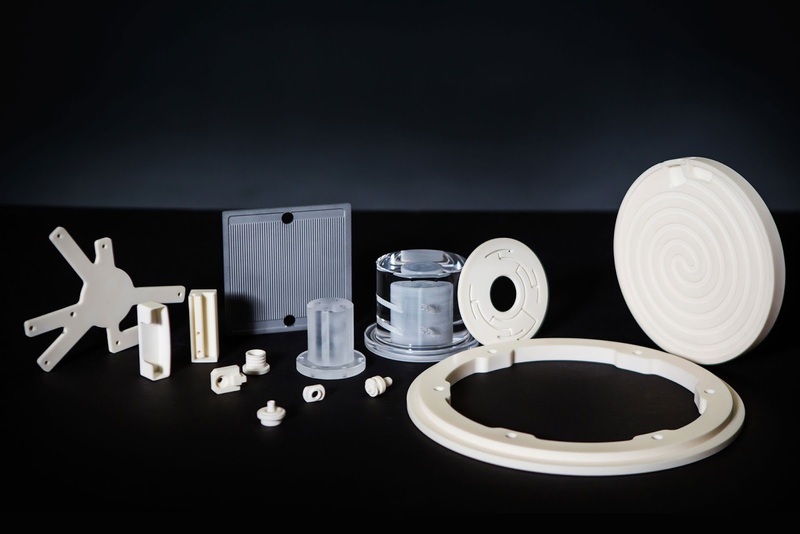 Advanced ceramics, such as alumina, zirconia, silicone carbide and silicone nitride are very resistant to corrosive chemicals and high temperatures. They posses higher stiffness and lower fracture toughness than metals. 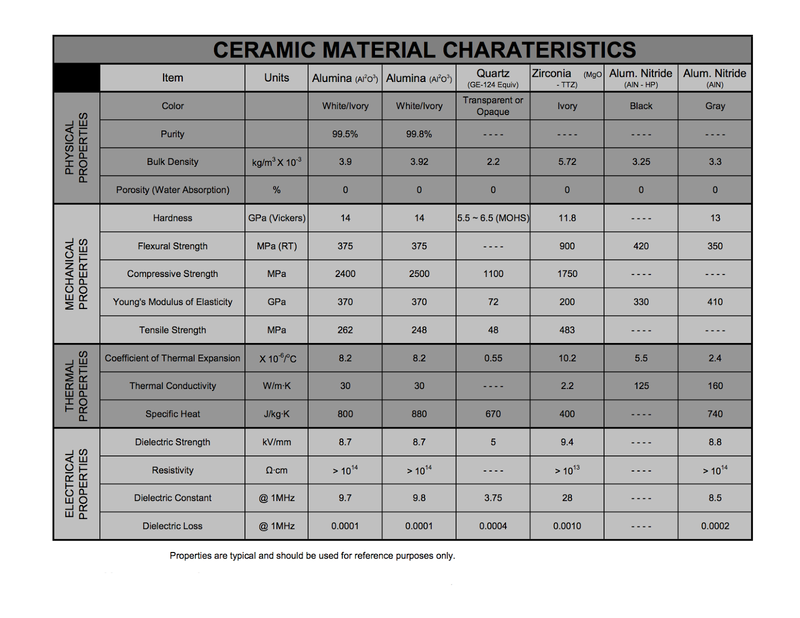 Ceramics behavior under mechanical, thermal and chemical stress differs widely from other materials such as metals, which makes machining ceramics very difficult and requires knowledge, experience, equipment, and expertise. As the need for higher performance / higher precision parts has increased, advances in ceramics machining has overcome many of yesterdays machining challenges, and today's high-tech processes are yielding extremely close tolerance parts and ultra precise shapes. Ceramic machining is the process of shaping the advanced ceramic material into high precision parts used in industry. Machining removes unwanted material by mechanical means, using very hard abrasive particles. If the machining is done before sintering (to achieve a "near-net-shape" to save time and money), the ceramic is referred to as in the "green state". Green state machining offers considerable advantages in quality, lower production costs, and manufacturing flexibility. Grinding, the material removal process where abrasives is used, is the most prevalent machining process for advanced ceramics. Polycrystalline diamond and cubic boron nitride are the grinding materials of choice because of their hardness. Their particles are fixed to a grinding tool (or wheel) via resin or vitreous bonding, and are turned against the ceramic part at high speeds. Variation in grinding efficiency is a challenge though, due to the constant changing state of the grinding tools because of wear and abrasion. 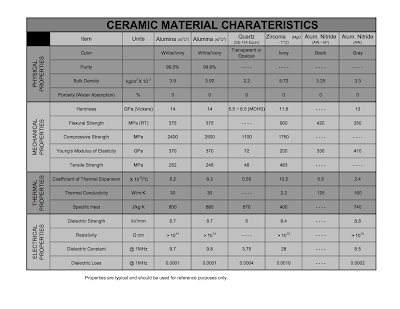 The following chart is a helpful reference guide to the properties of some common advanced ceramics (click on chart for larger view).